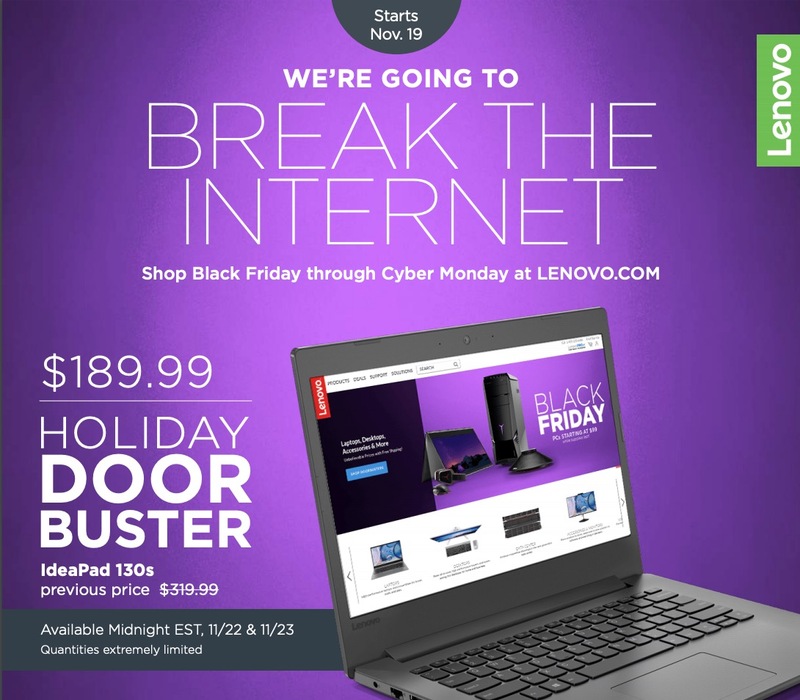 Lenovo Canada Black Friday 2018 flyer is available now. The flyer starts on Monday, November 19, 2018, until November 27, 2018. The doorbuster deals in the flyer are timed and will be made available throughout the week. Click here to view all Lenovo Canada online offers.